DuckDuckGo has improved tremendously over the last couple years. I had previously tried it when it was mentioned on Daring Fireball in early 2012. At that time, I felt like the search results left quite a lot to be desired. I gave up on it quickly. When Apple added it as a “blessed” search provider last year, I tried it again. I haven’t looked back since. 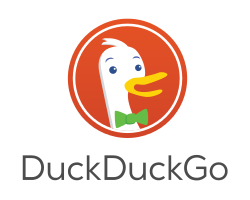 DuckDuckGo promises up front to be “The search engine that doesn’t track you”. This, in and of itself, is reason enough to give it a shot. However, the feature that sold me on DuckDuckGo was its !bang operators. You can try it out here. Notice that you’re sent to DuckDuckGo, but then immediately punted to Amazon. Pretty convenient. That being said, I don’t have to fall back to Google that terribly often. You’d be surprised how great DuckDuckGo’s results are these days. DuckDuckGo also supports my most frequently used query modifier: site:. This allows me to limit a search to just one site, such as this one. There are plenty of other modifiers to use, too. DuckDuckGo may or may not be for you, but I really like it, and I’m using it on all my devices. In the rare moments I’m using Chrome, or if I’m on someone else’s computer, I feel completely crippled now. Without my !bang operators, I’m completely useless.